Situated an hour away from Jim Corbett and a three-hour drive away from Nainital, only a few colleges can boast of such a picturesque location. Surrounded by the blend of the mighty ranges of mountains and the dusky turquoise coloured sky adds to the beauty of the campus. The campus is not just home to the 400 students but home to hundreds of different species of flora and fauna gives us the serene atmosphere to our ever-hectic curriculum. The foxes and the crickets keep us busy all night with their song which reminds us of the assignments and their deadlines. It would be unfair to not discuss my fellow peers who make my campus a notch above in the scale of uniqueness. Hailing from the city of Chennai, the north Indian atmosphere is something different to me. My broken Hindi more often has been translated by my crew to the rest of the city to keep me understood. The feel-good atmosphere gives you a feel of family and the respect each person shows to the fellow competitor is something imbibed and adored in the IIM Kashipur fraternity. The esteemed faculty and their immense knowledge in an array of topics make you live their experiences right in front of your very eyes. The motivation and mentorship offered by the faculty give us insights not only how to go about in the corporate world but also help us have a holistic view on life. The campus situated 60 km from the industrial belt of Rudrapur gives the students opportunities to get their feet wet in the management aspect. 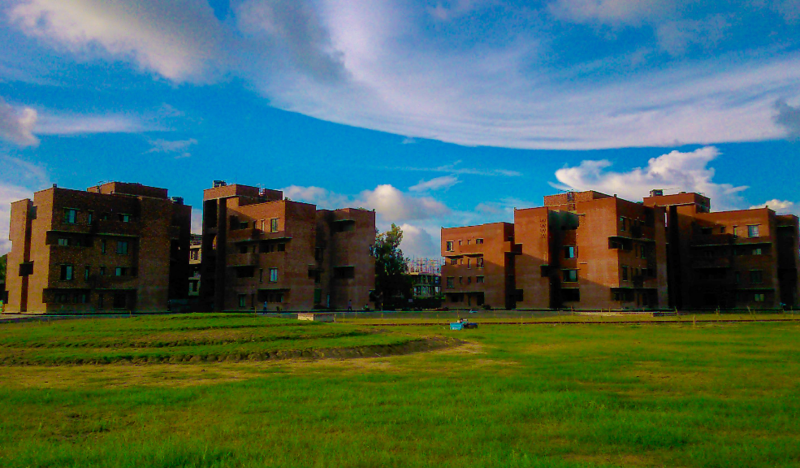 The various live projects floated by the companies and the real-time data a student of IIM Kashipur is able to obtain due to the close vicinity to the industrial belt adds to the uniqueness of the campus. “There is something of the marvellous in all things of nature” said Aristotle and I’d like to say my campus is indeed the marvellous.